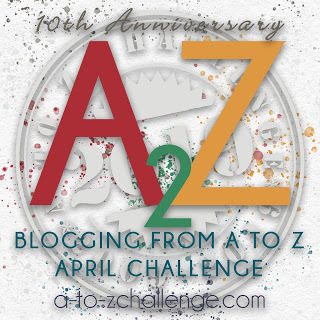 Today is the first day of the Blogging from A to Z April Challenge. In the real world I am a quietly shy and introverted person. In the real world people tend to feel uncomfortable around the quietly shy and introverted. Here, in the blogosphere, I am anonymous. Well, somewhat anonymous, that is. Some readers do know me personally. But, I suspect that before I began writing this blog I was anonymous to them too. I hope, by now, they have gotten to know me a little less anonymously. Here, I communicate freely and most often without censorship. When I read another person’s blog, I try to imagine what it would be like to meet the writer in person. Is he or she the persona that they present in their posts? Does their anonymity allow a different voice to be heard? I wonder what it would be like to actually, not virtually, or anonymously, stand up in front of the members of this community and read one of my posts? But the mere thought of doing such a thing makes me quake, shake, and turn a deep shade of red. In the two years I have been writing this blog I have been slowly peeling away the layers of my anonymity by revealing bits and pieces of myself. It made me realize that I was holding on to my anonymity. It has been an emotional and surprising journey getting to know me. You will find other interesting posts here: A to Z Participants. Interesting post, Lynda. I, on the other hand, don't think of myself as anonymous in the blog world. I put myself out there just like I do every day at work. What you see is what you get. I know the blog world only allows me to show a tiny tiny sliver but that's because there are so many parts to me (and, for that matter to all of us) - each post reveals and uncovers a bit more. Love playing WWF too - silly game! I thought that for the rest of the challenge I would just pick a word a day from our WWF board and go with that. Let’s see, so that means today’s word would have to be chewy? Okay maybe not. I have to admit that I write for me, and for me only. When I stated my blog, I had no idea that my horizons would expand to include others. However, that being the case, I still write only for me. What you read is what I am-nothing more, nothing less. Even though I'm somewhat of an introvert myself, I feel very comfortable blogging. Like Graciewilde mentioned above, it's a very small glimpse of who I am anyway. The blogging community has been wonderfully supportive, friendly and inspiring. I whole heartily agree, Dawn. The blogging community is the best! I have been shown a lot of love. Being anonymous is not all its cracked up to be. And... blogging is the real world. Nice to meet you. When I first read your comment, I didn’t know how to respond. But, you know, now that I have given it some thought, you are absolutely right. Blogging is the real world. Perhaps even more real that the “real” world. That’s one of the perks I find I receive here. I am always presented with a different way of looking at things. This is a great post, I look forward to learning more about you. Thanks for stopping by. I will be doing my round of visits today. Hope to see you! Thank you for you kind words. It has and continues to be a tough time for me. I’m sorry about the loss of your brother. I know my other two children miss their brother. I know what you mean about finding a peer. I am going to come over to visit your blog. I love this post Lynda and have often thought about many of the things you mention regarding how much of our identity we reveal when we're "hiding" behind our computer screens. I personally feel safer being more open on my blog than I do in real life, but that openness has started to bleed over into the real world a bit. Of course, there are aspects of my personal life that I would not share on my blog because they are not appropriate to my "blog persona," but that doesn't make my blog persona inauthentic, just incomplete. I do not always tell the whole truth on the blog, but I am always wholly truthful, if that makes any sense. Thank you MM. 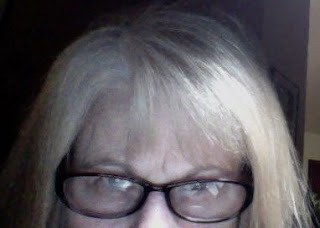 I am so happy that you are blogging more frequently again.